David Mamet’s 1984 play Glengarry Glen Ross was about shady real estate agents (entirely coincidental to the subject of this piece) engaged in whatever it took to sell undesirable properties in Chicago. The play won a Pulitzer Prize and was subsequently made into a 1992 film. Ol’ Donald “Art of the Deal” Trump should’ve paid closer attention to one of the most memorable scenes – It involves a sales trainer coming in from the head office to berate the agents for better performance. The trainer, Blake, refers to ABC- Always Be Closing. Always Be Closing. Donald, Donald, Donald. You’re supposed to be the world’s greatest deal-making guru, and yet, you’re getting whipped like a rented mule. Sure, you’ll pick up some delegates in New York, but, I mean, how embarrassing will it be if you didn’t win the majority in your home state? If Trump had spent his money on a solid ground game instead of The Flying Money Squad on social media to defend the endless inanities spewing forth from his Cheetos-colored lips, he might not be losing significant ground daily. While we’re on the subject of losing, let’s quickly address the non-controversy of Colorado. In August 2015, Colorado did away with the traditional non-binding straw poll in response to a 2012 RNC edict that bound delegates to the winner. Instead, Colorado selected delegates via the caucus system which is the way they’ve done it since right around the time the Titanic was sinking and long before Donald Trump was even born, much less running for president. The truth is, Colorado did not change a process that is over one hundred years old to the benefit nor the detriment of one Donald J Trump. You’re not that important, Donald. Get over yourself. To paraphrase [score]Ted Cruz[/score], 65,000 people voted in Colorado; they just didn’t vote for you. As I’ve written about before, Ted Cruz has the talent on the ground necessary to secure the delegates required for the nomination. 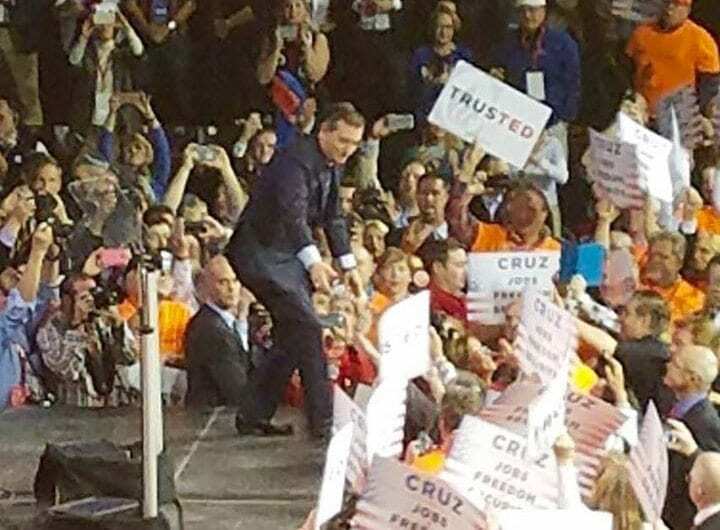 The Donald has just now hired a team in California where Cruz has had his crew in place for months – ditto just about everywhere else in the remaining states. The truth is, if Trump doesn’t reach 1237 before the convention (he won’t), Cruz will be on the second ballot. Change the rules all you want; Cruz controls the delegates. Hell, lower the win threshold to zero states; doesn’t matter. Cruz still controls the delegates. Ted Cruz will do better in New York than expected. Pennsylvania’s delegates are all unbound. Guess who’s on the ground there? Indiana, Oregon, Washington, and California are all looking good for the Cruz Crew. The ground game is what wins elections, and Cruz’s is unmatched. Why? Because he knows the ABC’s of success: Always. Be. Closing. Previous articleWhy aren’t Americans worried about their freedom? Greg is a veteran of the US Marine Corps. He lives with his son in Nowhere, Colorado. When not ranting about electing Ted Cruz the 45th President, he's shooting or catching some kind of fur, fish, or fowl.